In the 1973-74 NHL season, Corner Brook’s Doug Grant filled a dream that every hockey player has throughout their career. He played in the big leagues, playing 37 games for the Detroit Red Wings, ending the season with a record of 15-16-2, with one shutout. Grant’s rise to hockey fame started in his hometown of Corner Brook, where he began his junior career with the Corner Brook Pats before making the leap to the Newfoundland Senior Hockey League as a member of the Corner Brook Royals. As the Royals net minder, Grant played from 1966-67 to 1970-71 season before joining the Memorial University squad in the 71-72 season. While with the Corner Brook Royals, Grant saw action in the Herder Memorial Championship in 1966 and again in 1968. He was also selected the Corner Brook male athlete of the year in 1967. It was in the 71-72 season he signed as a free agent with the Detroit Red Wings and was assigned to play with the Forth Worth Wings of the CHL before moving to the AHL in 72-73 season. Grant played a total of 46 games with the Detroit Red Wings over the next few seasons before being traded to the St. Louis blues for future considerations. 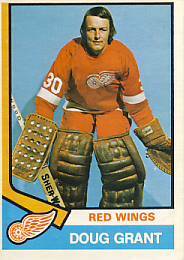 His record with the Detroit Red Wings was 46 games played with a record of 17-22-2 and 1 shutout. 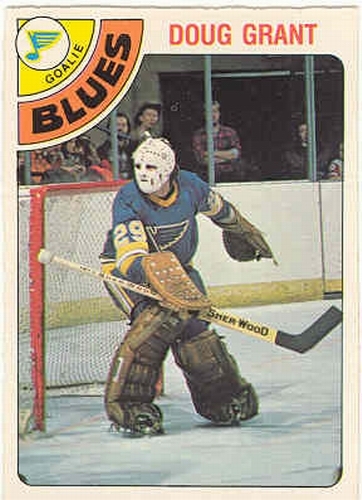 Doug Grant played a total of 17 games for the St. Louis Blues but he faced steep competition for the net minders job, competing with both Ed Johnston and Ed Staniowski. With a trio of solid goaltenders, Grant was sent back to the CHL where he spent time with the Kansas City Blues and the Salt Lake Golden Eagles. 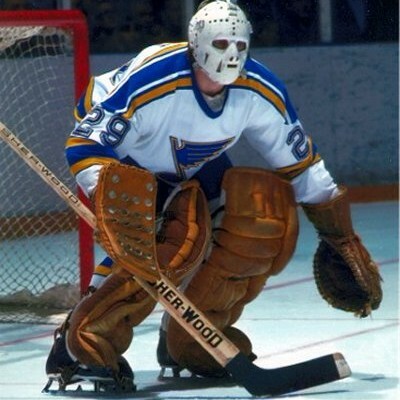 From the 1976-77 season through to 1979-80 season, Grant played a total of 31 games for the Blues with a record of 10-12-6 and 1 shutout. As part of his play in the CHL, Grant earned the Max McNabb Trophy as the most valuable player while playing with Salt Lake City, helping his team win the league championship. Here in Newfoundland, Doug Grant was inducted into the Newfoundland and Labrador Sports Hall of fame in 1988 and to the Newfoundland Hockey Hall of Fame in 1994 in the Athlete Category.